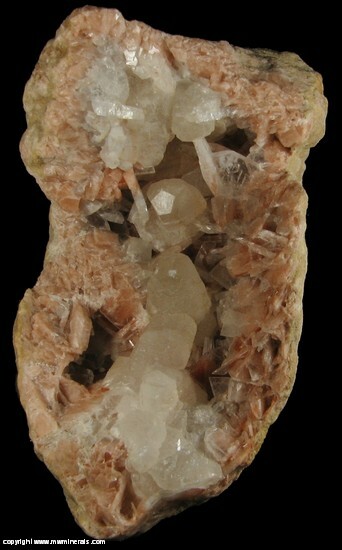 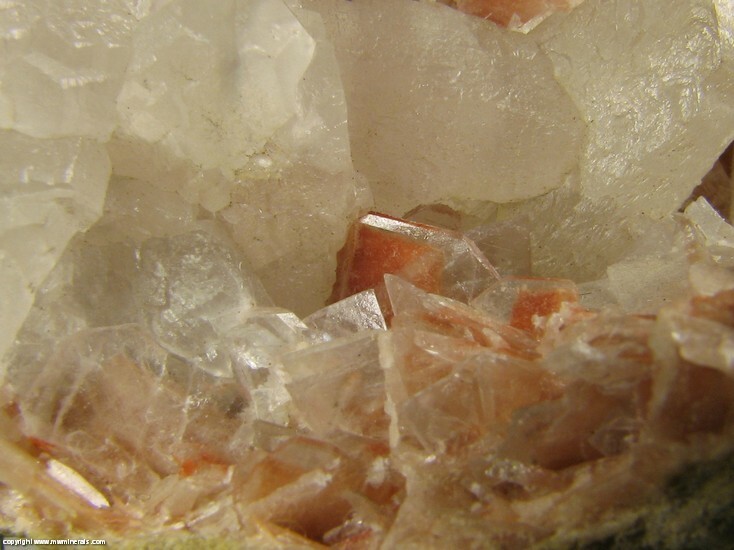 A geode filled with bladed clear to white colored Barite crystals, many of which are colored a pink/orange color by micro inclusions of Cinnabar. 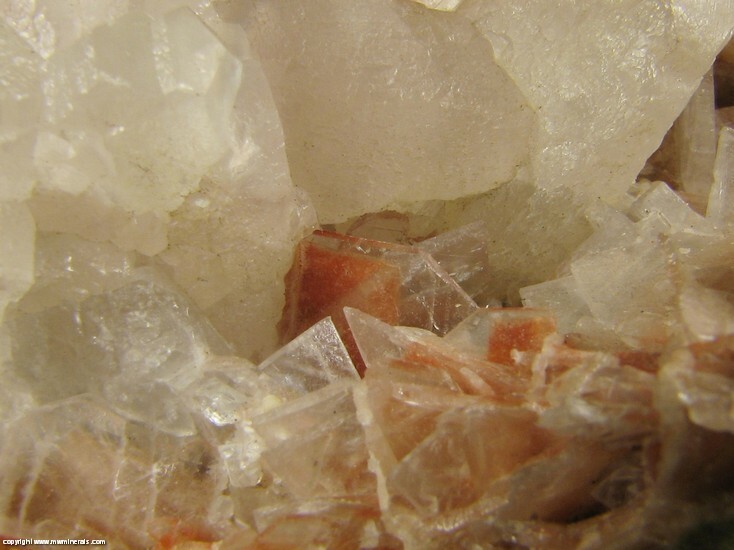 Running through the center, the are off white colored hexagonal Calcite crystals with three faces on the terminations. 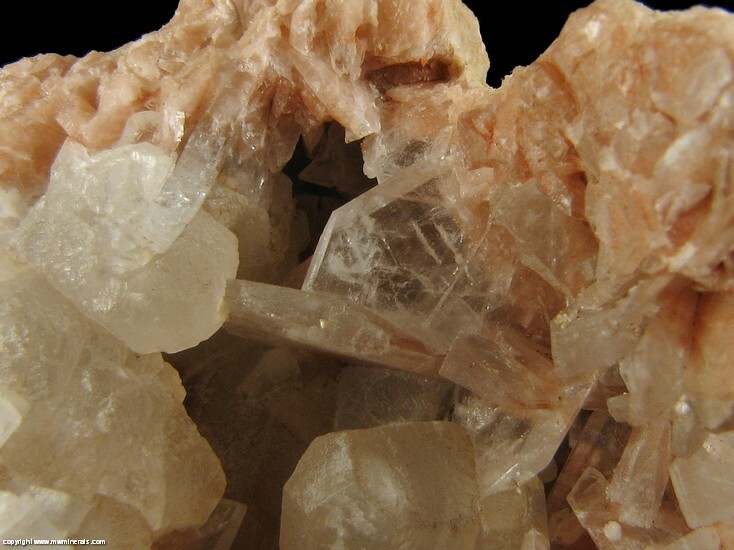 Of note, is one particularly nice Barite crystal which is very thin and clear and has a phantom composed of the included Cinnabar. 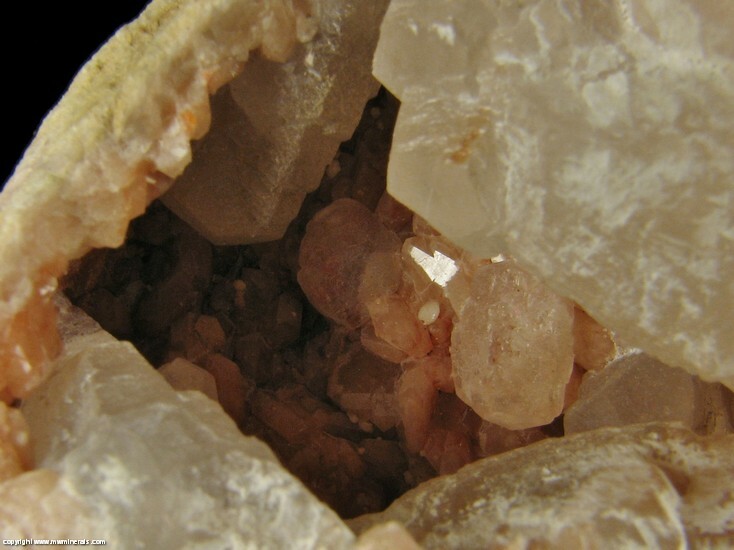 There is a second vug on the opposing side with similar mineralization. 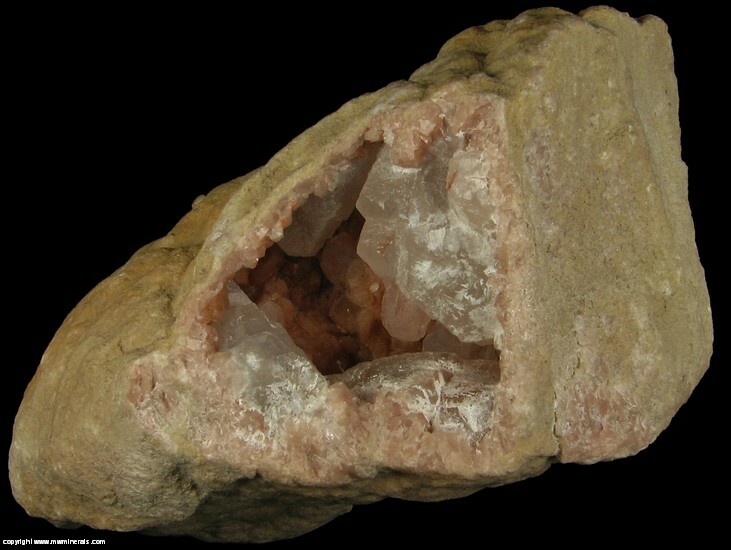 This second vug makes a perfect resting spot allowing the specimen to rest upright without the need of a stand. 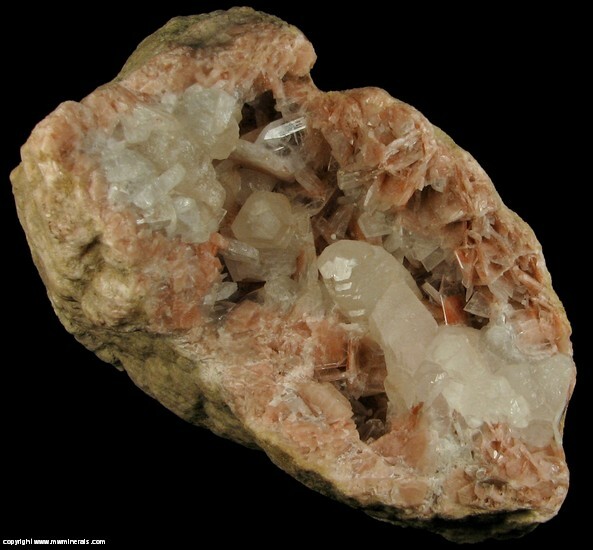 This is an unusual specimen of this classic material of Cinnabar included in Barite. 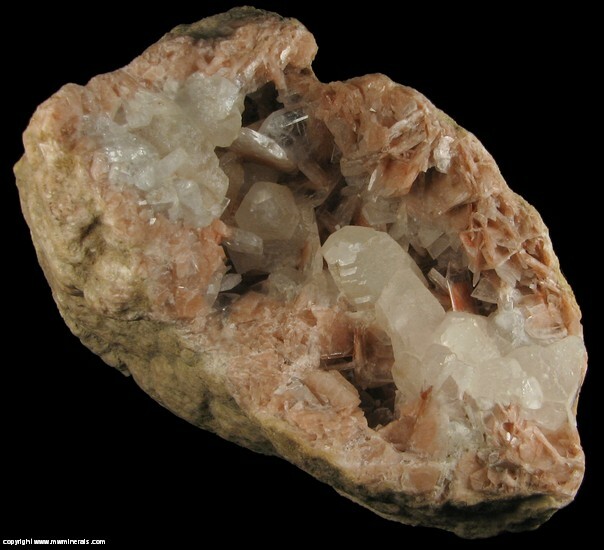 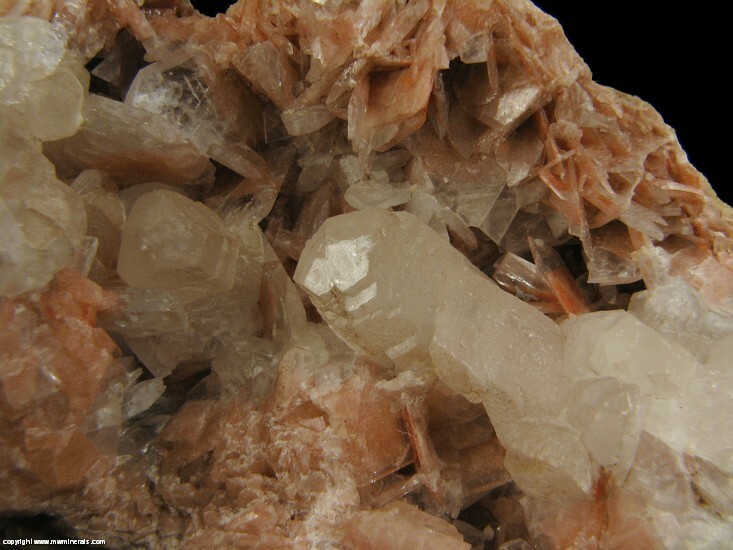 The specimen is in fairly good condition but many of the Barite crystals are incomplete and there is a bruise on the termination of the largest Calcite crystal.